“Art is the most expressive method that children can use to voice their feelings and needs.” This is what Iman El-Sayed Mahmoud believes, and this is why she founded the project, Arosty. 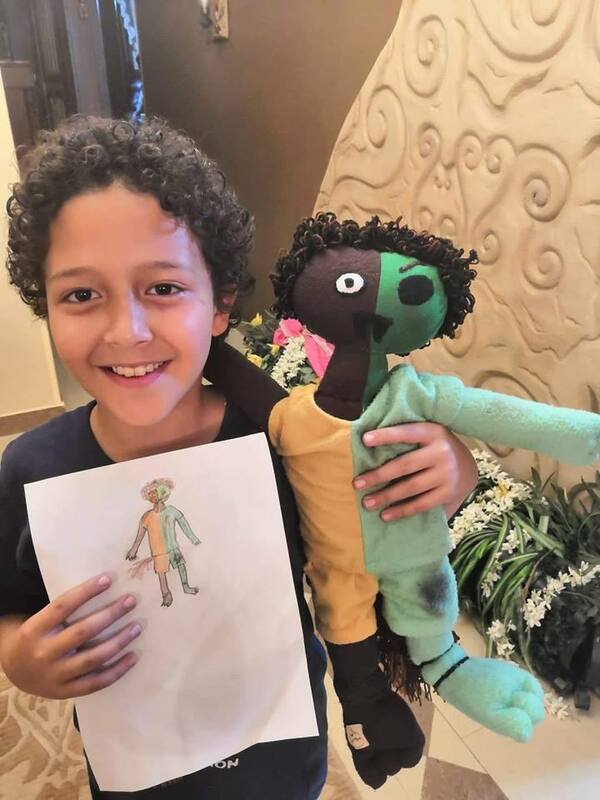 The idea is very simple; it is a comprehensive program that aims to bring children’s drawings to life by transforming their paintings into real-life dolls. Iman explains “From a young age, kids scribble on paper, and these doodles are the first step to bring out the artist within. The important thing here is how adults react to the kid and his doodles. Do they prove that it is significant and of value? Or do they throw it away?” This is what inspired Iman to create the Arosty project. She believes in validating the children’s thoughts and ideas, giving them value, and building their self-esteem. Whatever the kid wants to draw can be transformed into an actual product, be it real-life dolls, clothes, quilt covers, or even pieces of furniture. Parents can send in the drawings by their children, or the kids can attend Arosty workshops themselves to work hand in hand with the specialised Arosty team. Iman started her career in animation but soon decided that Arosty is where her passion lies. She began the project as a volunteering initiative in her kid’s school. She asked children to draw a cartoon character from their imagination, give it a name, and then start making it. Parents of those kids noticed how attached the kids were to their characters and suggested that she should turn this into an actual project focusing on transforming those doodles into reality. The most important thing in this project is how kids feel a sense of accomplishment. First, their ideas are validated, second, they see them turn into a reality, and so they gain a sense of appreciation and accomplishment when adults value their work. 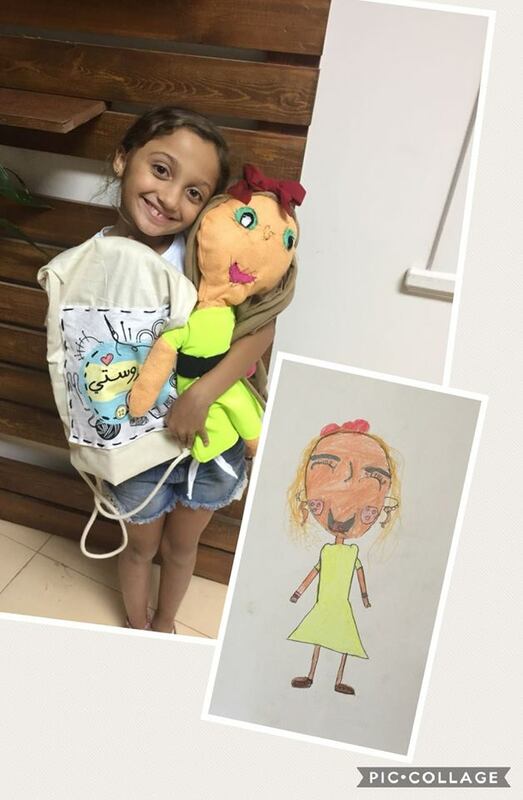 Many kids have told Iman that they would like to become doll designers when they grow up. Arosty prices are as follows: dolls start at 350 EGP and vary according to the level of detail in each character, and the same goes for T-Shirts. Quilt covers are 1200 EGP, and wooden hangers are 600 EGP. Prices may seem a bit steep, but that’s because all these products are handmade by Arosty’s specialised team instead of simply being printed. Check out their Facebook page if you’d like to learn more about their services and workshops.